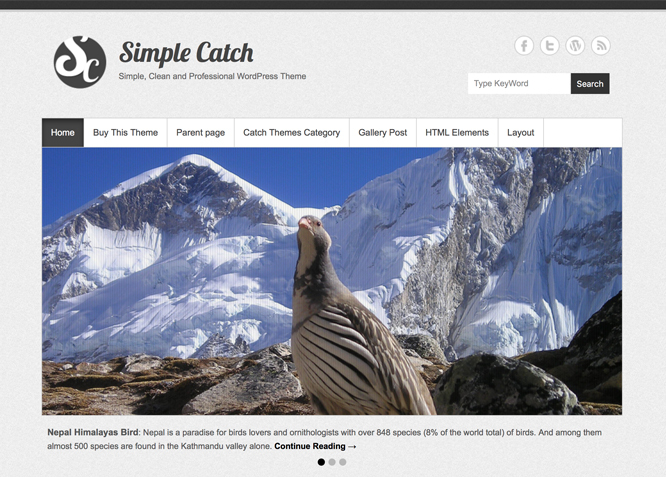 Simple Catch is a Highly Customizable Simple, Clean and Responsive WordPress Theme for anyone looking to give their website a professional look. 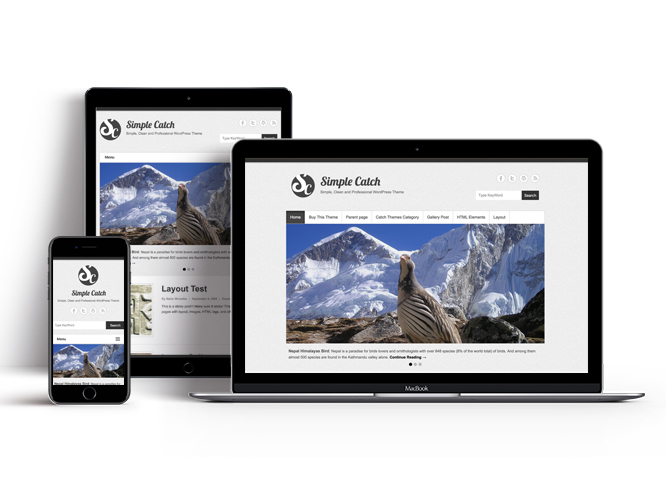 It’s easy customization through WordPress theme customizer, ultra-readable typography, large thumbnail and featured slider makes it outstanding. It comes with a wide variety of options: like Custom Menu, Custom Widgets, Custom Layouts, Featured Post Slider, Header Logo, Footer Logo, Fav Icon, Header Image, Background Image, Social Icons, Color Schemes, Custom CSS Styles, Excerpt settings and scroll up. 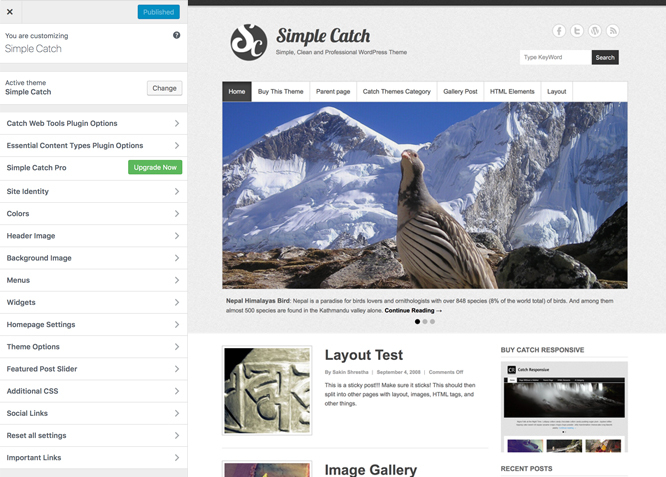 For more options, upgrade to Simple Catch Pro.